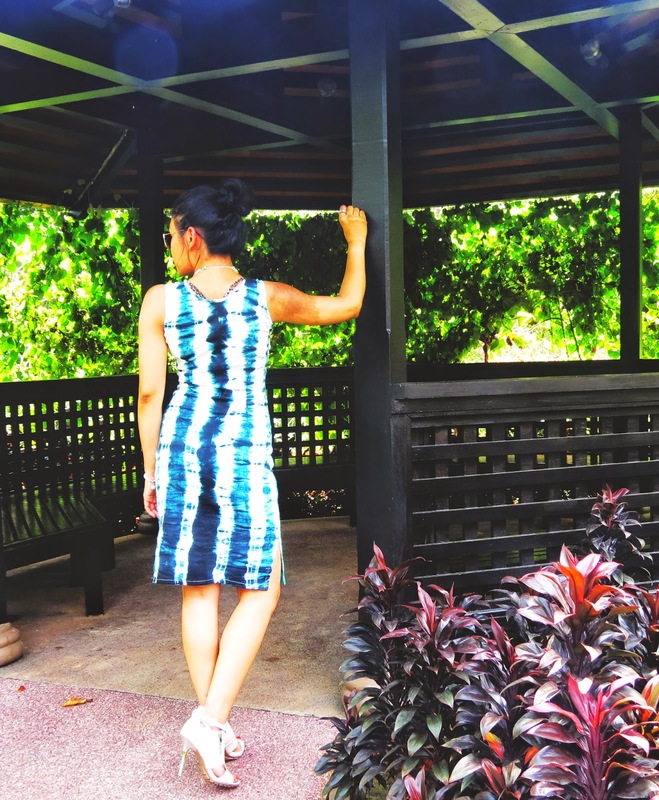 If you have been reading my blog lately, you must have had an idea that Indian traditional textiles and fabrics has a very special place in my heart. A contemporary look designed from Indian traditional fabric is the only reason why I am enamored of Vesa, an online brand in India. This post is a collaboration with Vesa as their designs are so up my alley. I am completely convinced with their vision of bringing out the various Indian Textiles to design contemporary and unique, out of the box designs and fusion wears. 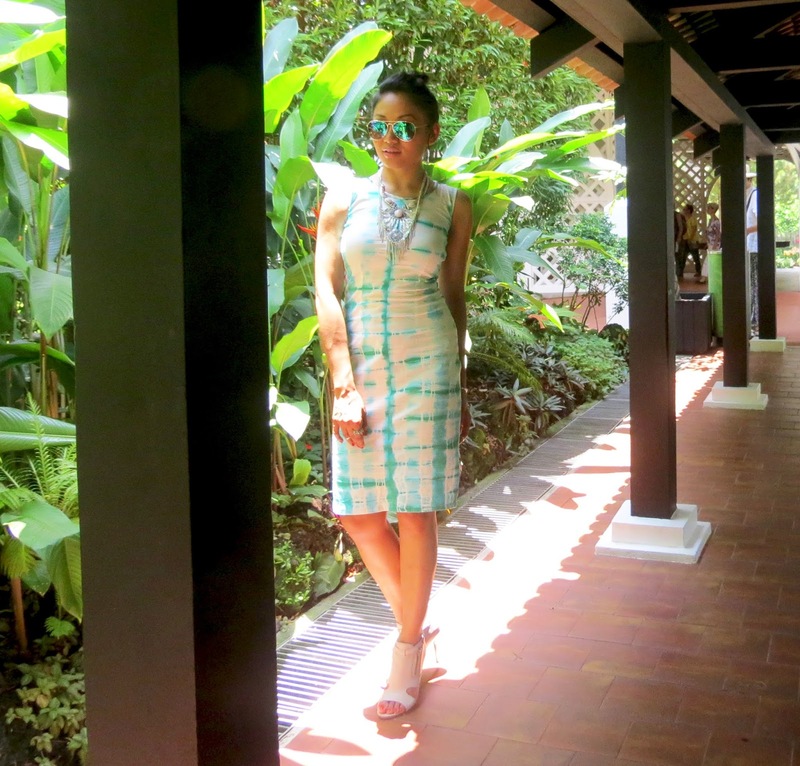 For today's post I am wearing this Dual toned Tie and Dye cotton dress. In India Tie and Dye originates from the western part, commonly known as Badhni. I love how they have played with mint and black colour in the technique to bring out this fabric for the dress. What is more sensational of this dress is that you can wear it either ways which you might have noticed in the pictures. 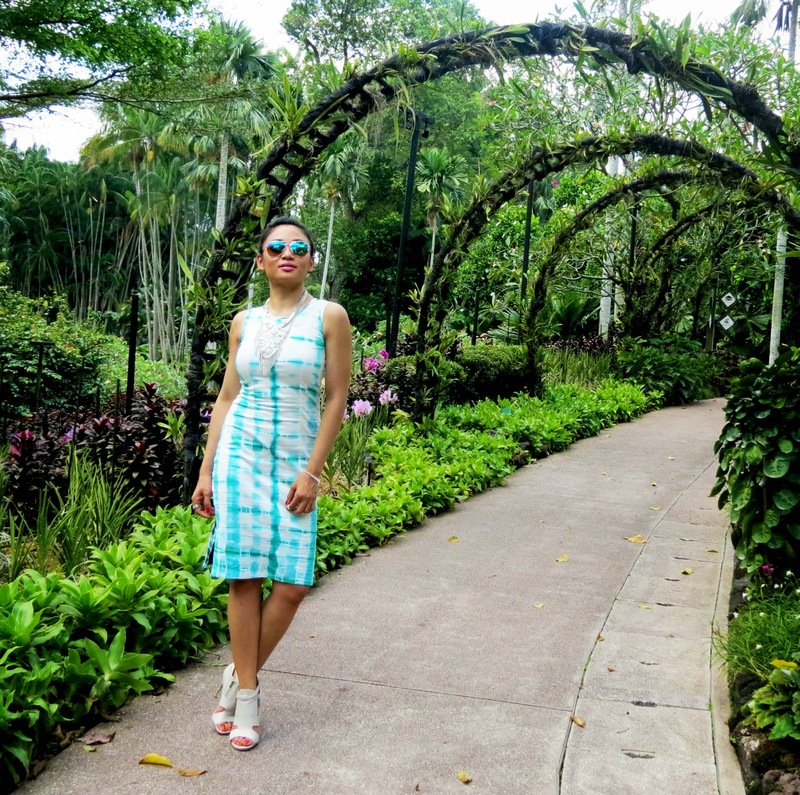 I wore this dress for my latest visit to The Orchid Garden in Singapore. Not to mention, Orchids are my favourite flower and what best than this dress would have tailored my purpose. 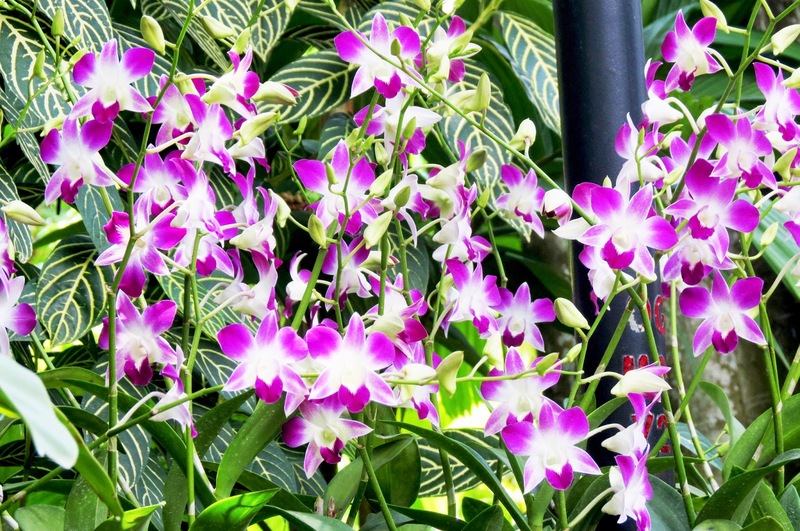 The dual toned colours of my dress and the Orchids complimented each other.